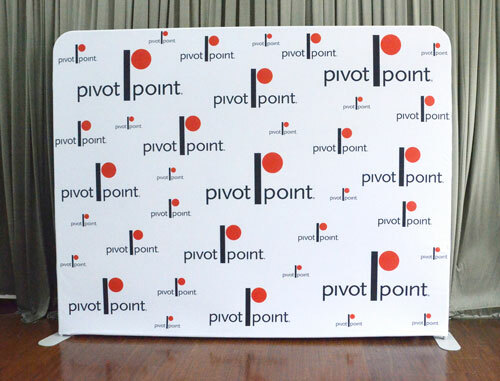 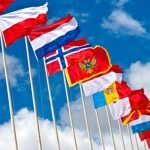 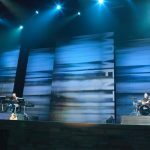 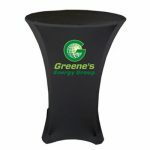 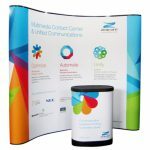 If you’re hosting an event where a lot of picture-taking will take place, such as an expo or trade show, a press conference, a corporate event, or even a wedding or a school formal, you will need displays that will enhance the mood and tone of the shindig, will look perfect in photographs, and – above all – will not cost you a fortune. 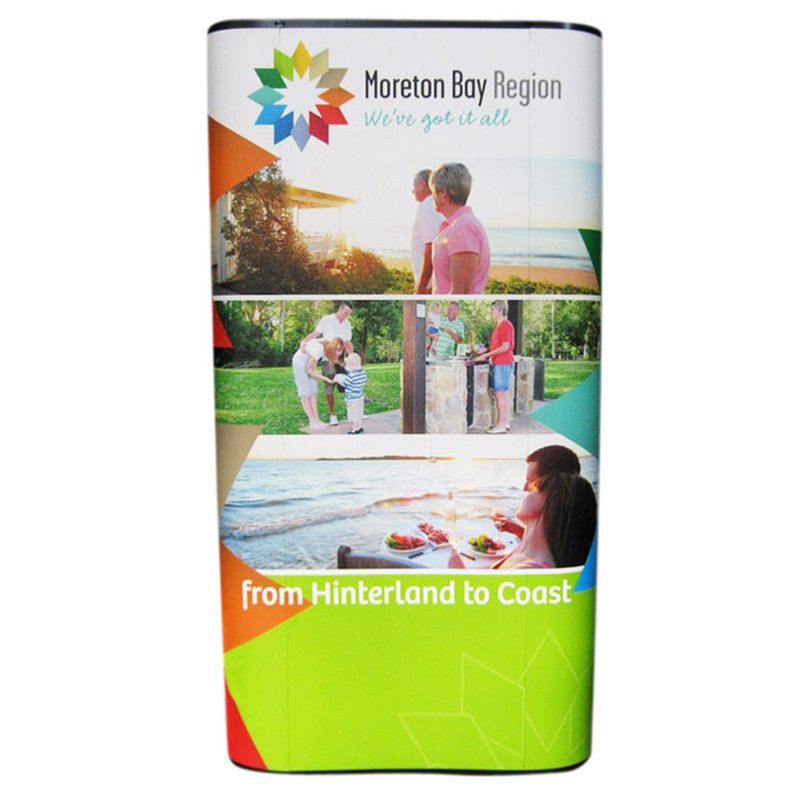 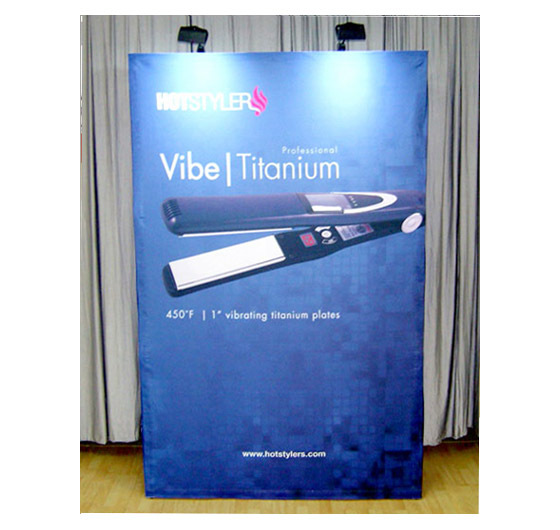 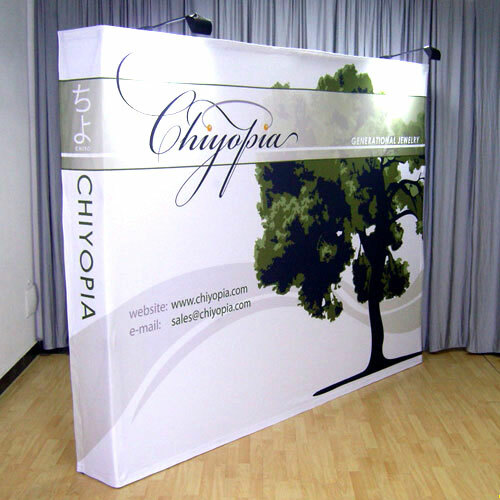 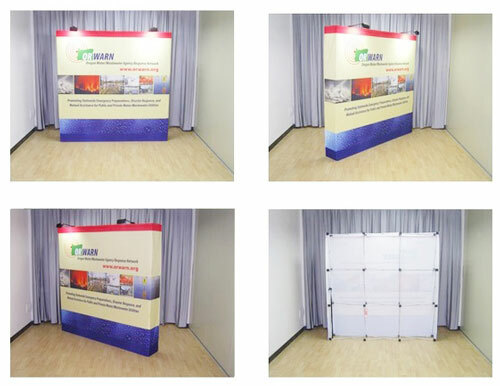 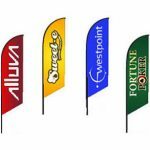 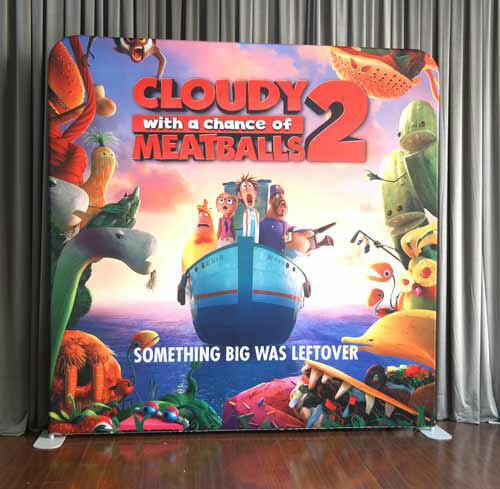 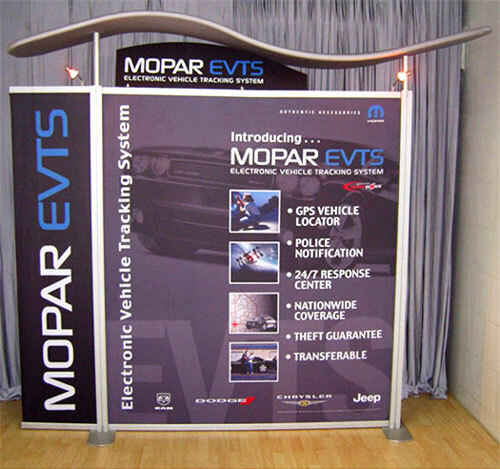 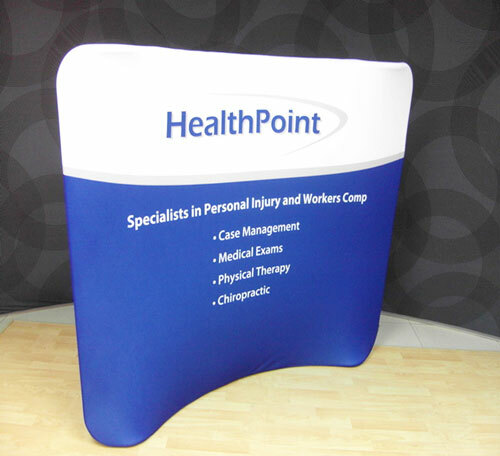 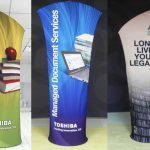 Our S-shaped tension fabric banner stands are the kind of displays you need. 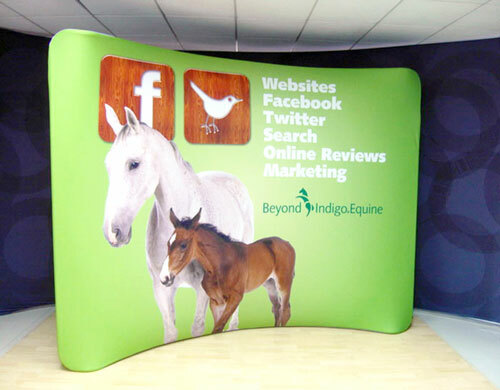 It is hard not to notice our S-shaped media walls. 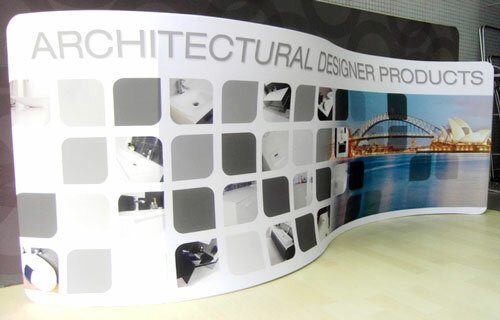 They are certainly eye-catching with their unique, curving design. 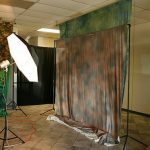 If you use them as a backdrop to your event, they will definitely photograph well and will not cause issues like flaring or join lines on pictures. 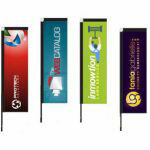 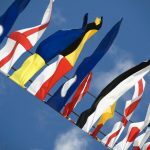 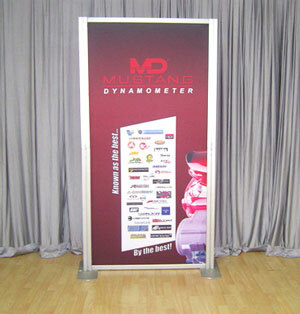 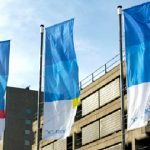 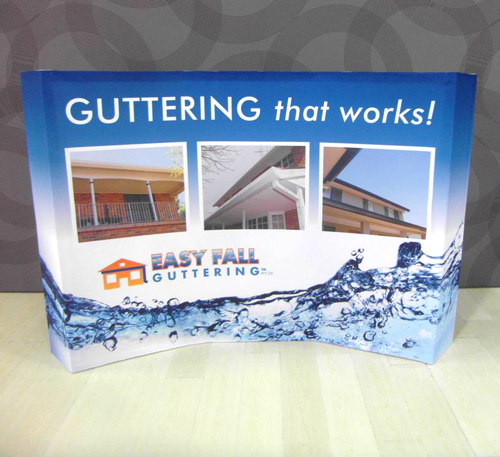 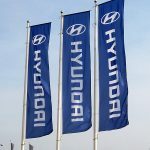 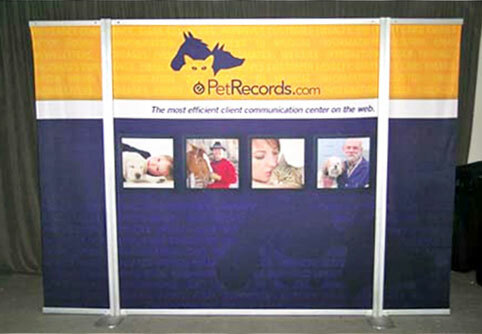 These banner displays are sure to impress the people attending your event. 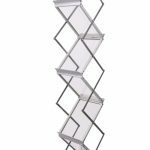 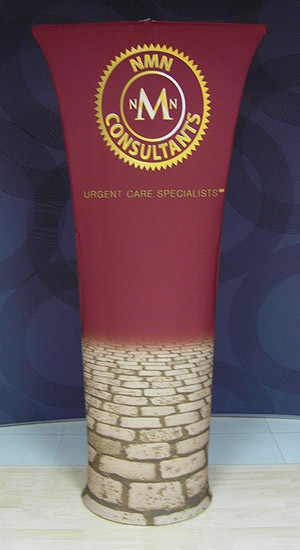 This particular S-shaped fabric wall stands 2970mm/W x 2230mm/H. 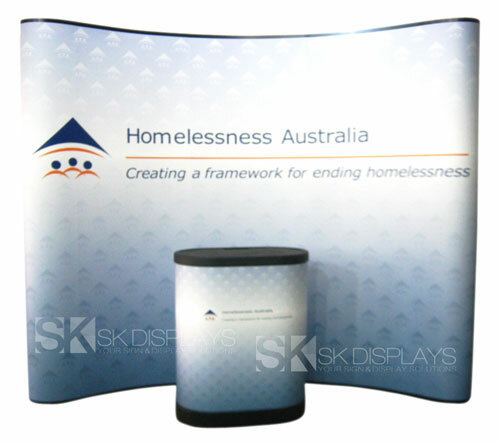 The assembly is made up of a curving frame and a fabric graphic. 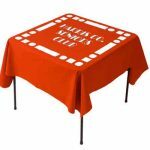 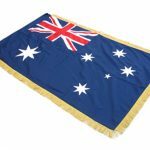 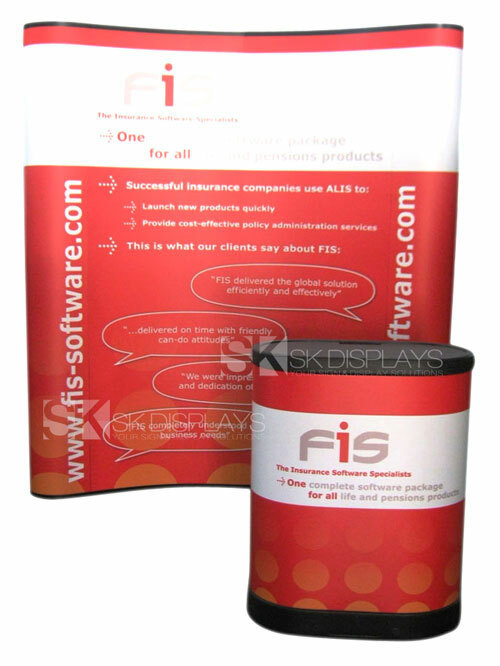 The fabric graphic is full-coloured, and you can order this single-sided or double-sided. 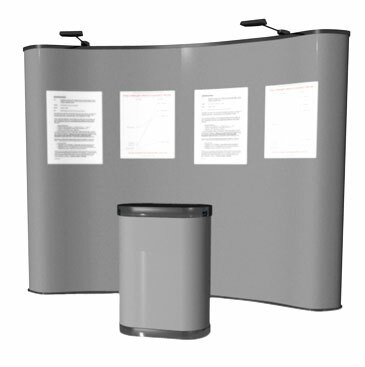 For maximum visual impact, though, we recommend that you get the double-sided display. 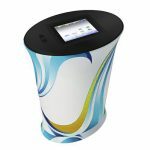 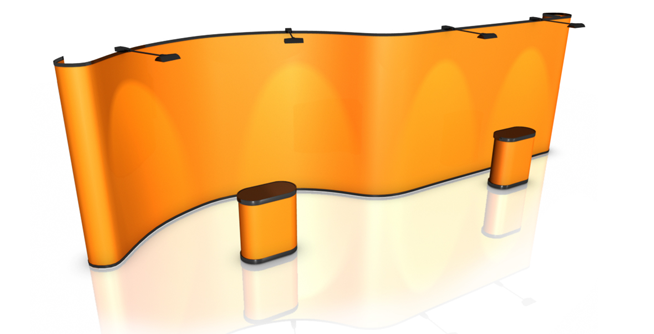 If you need halogen spotlights or tabletop counters to embellish your display, we offer them as optional add-ons. 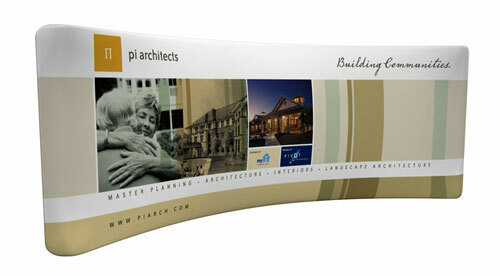 Assembling this S-shaped fabric banner may seem complicated, but it’s really not. 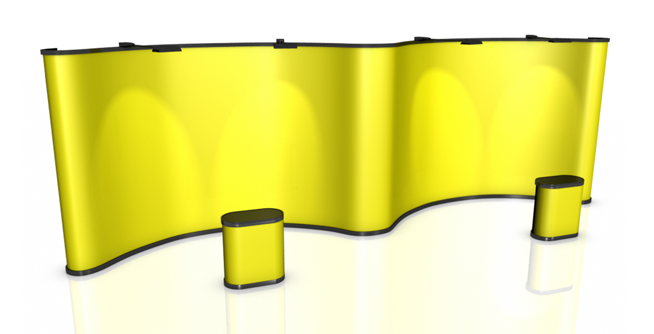 Each piece of the frame is foldable and its joints lock in place. 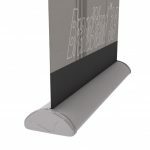 The ends of each piece are also labelled properly so you will clearly know which ends to connect together. 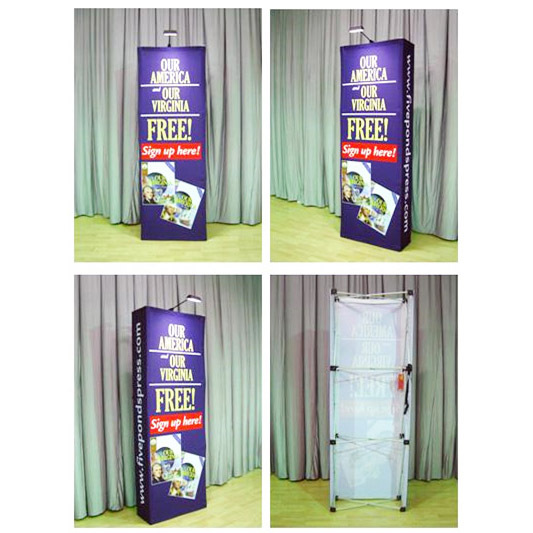 To assemble the frame, you simply need to unfold the pieces, lock the joints and connect the ends. 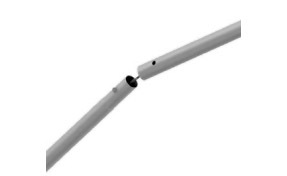 Don’t forget to attach the two centre poles that are supposed to stabilise the frame. 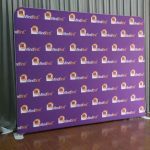 Once you’re done assembling the frame, all you have to do is to slip on the fabric graphic and zip it closed. 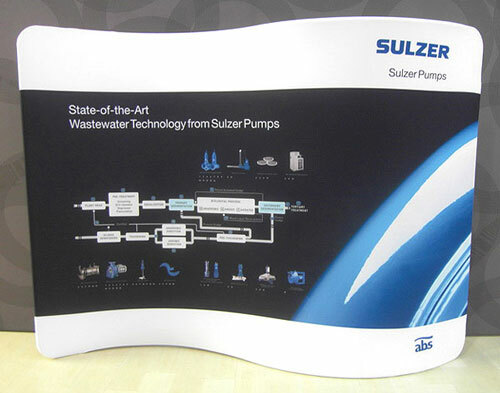 The entire process only takes 15 minutes to complete. 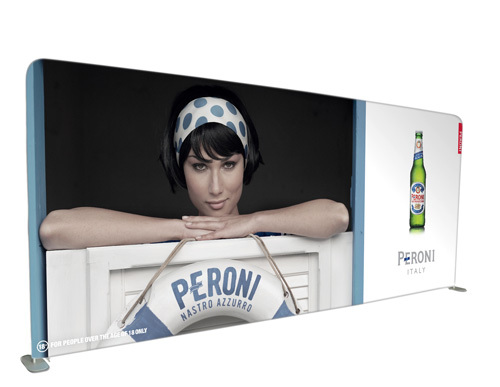 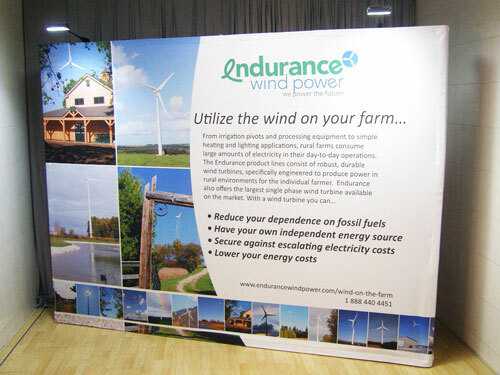 As big as this banner display is, it’s very lightweight and portable. 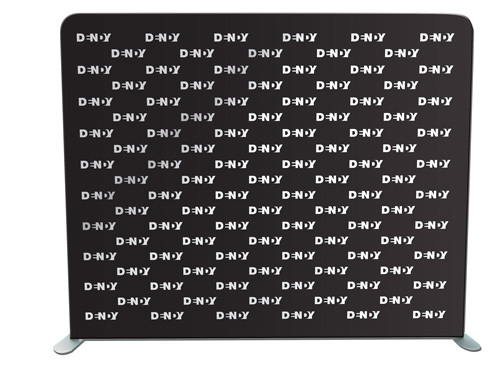 It is, in fact, the lightest display of its type. 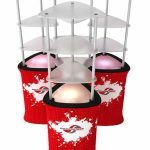 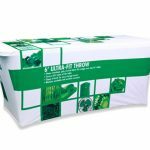 It comes with its own carry bag so you can transport it from one location to another and so you can store it away without any fuss. 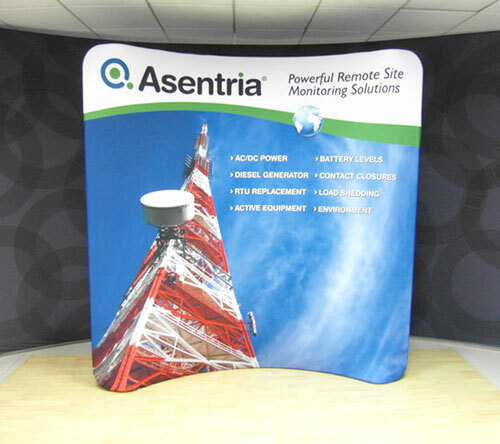 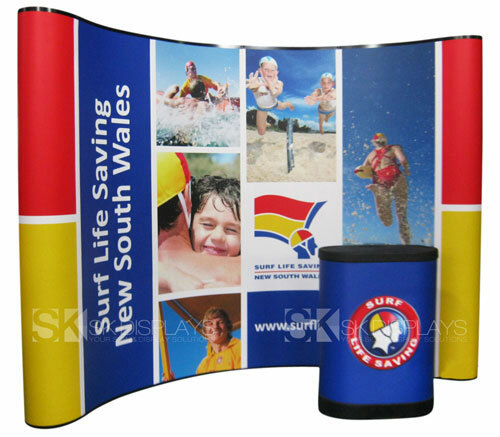 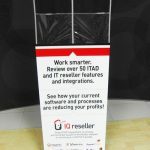 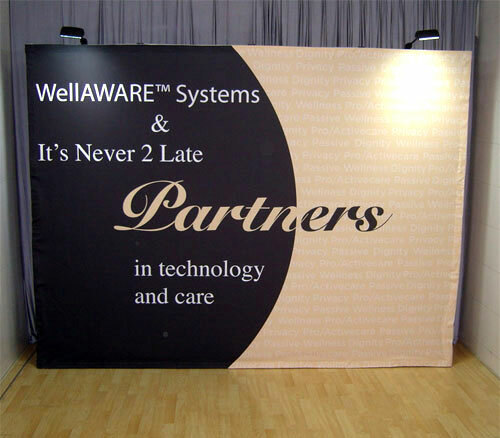 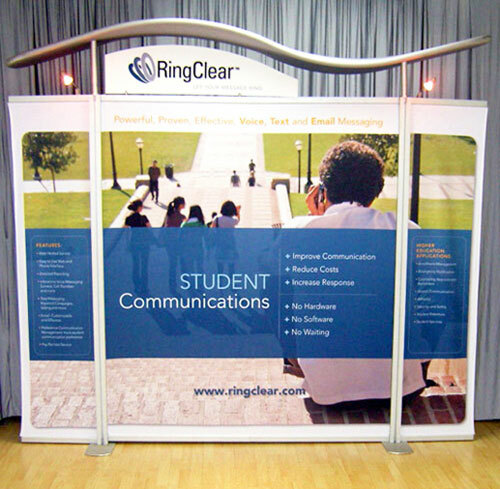 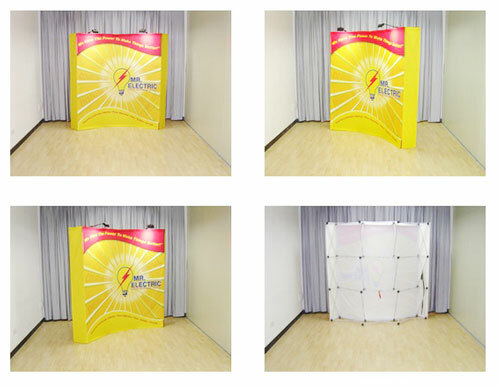 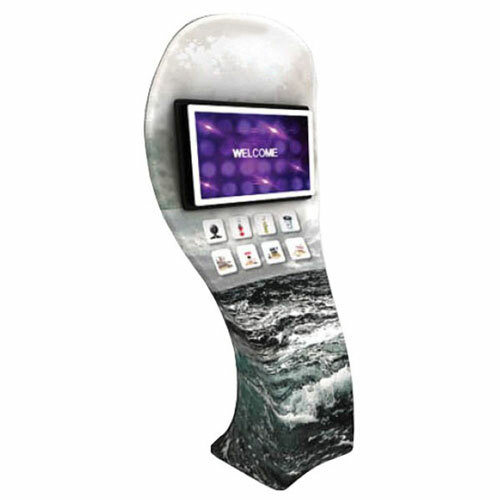 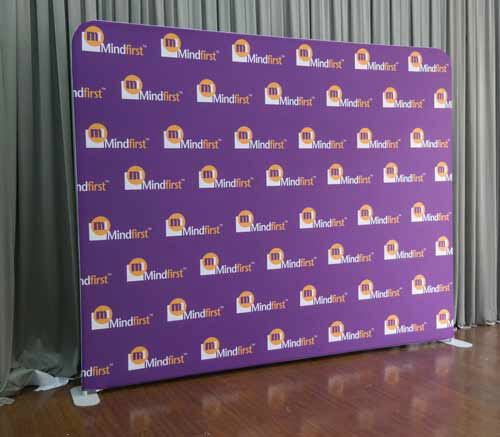 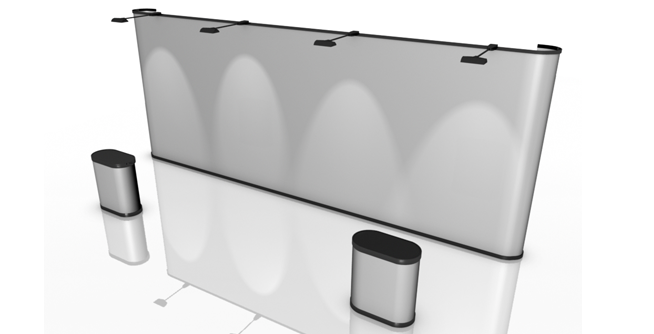 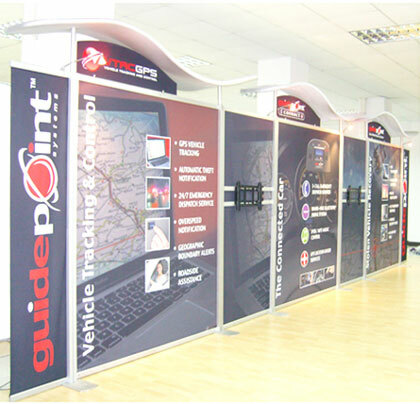 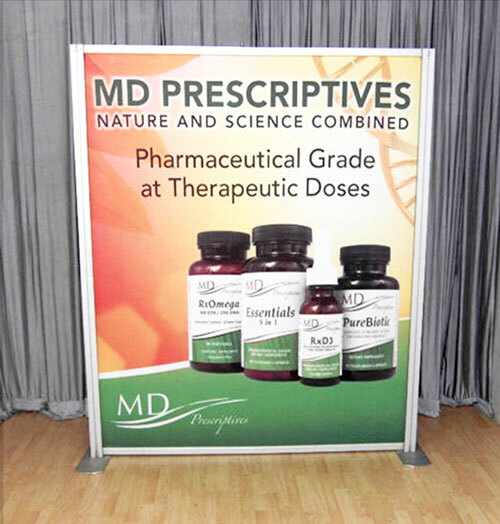 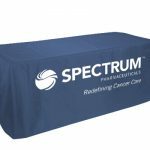 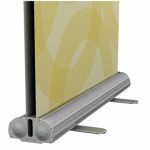 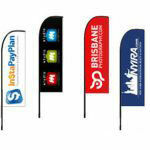 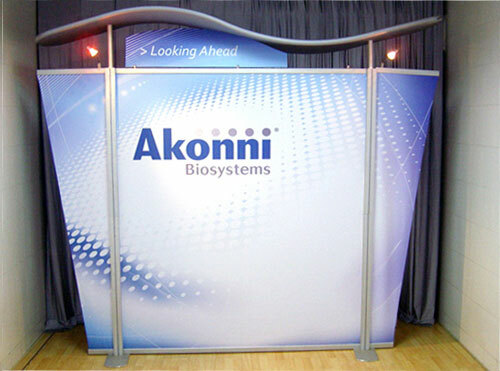 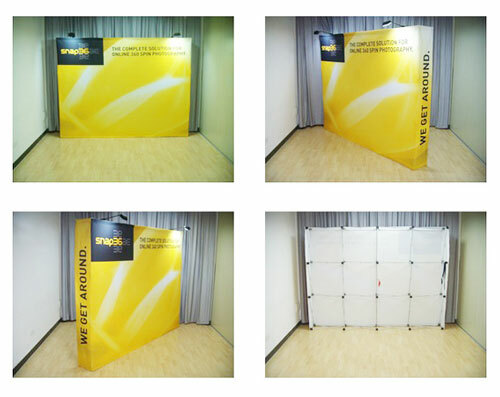 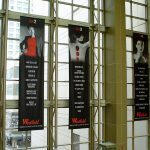 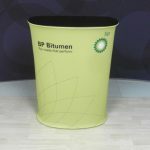 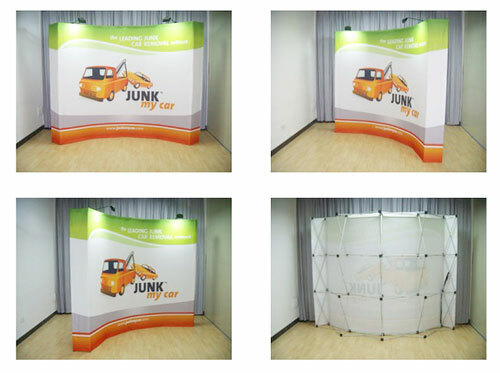 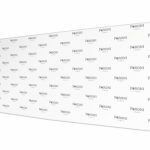 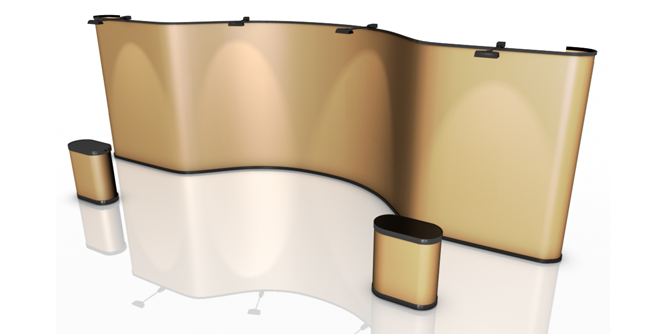 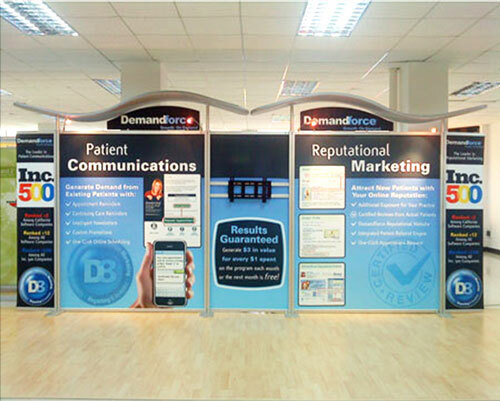 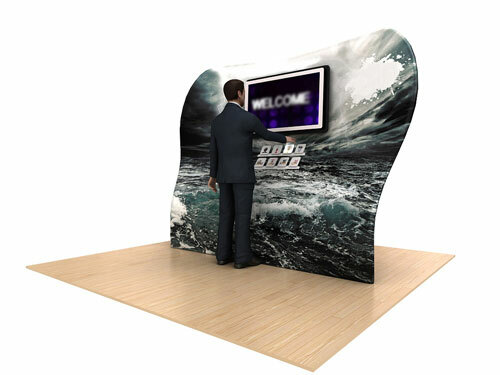 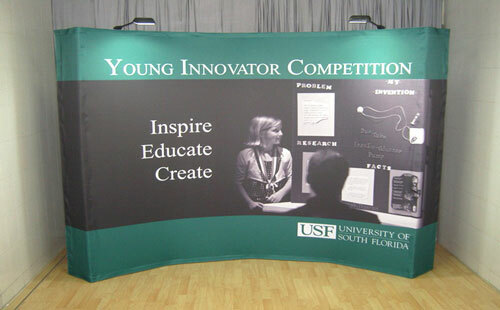 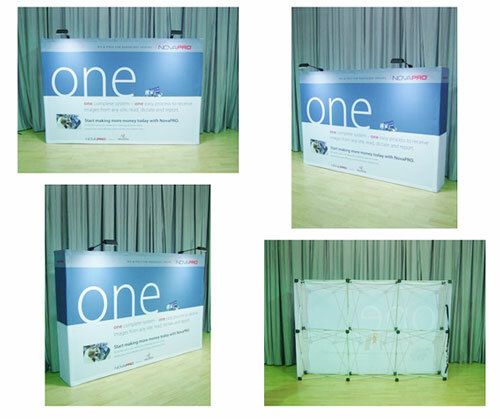 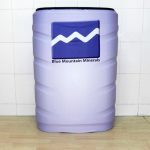 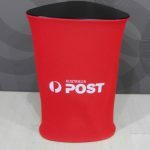 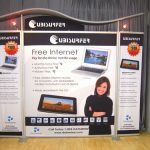 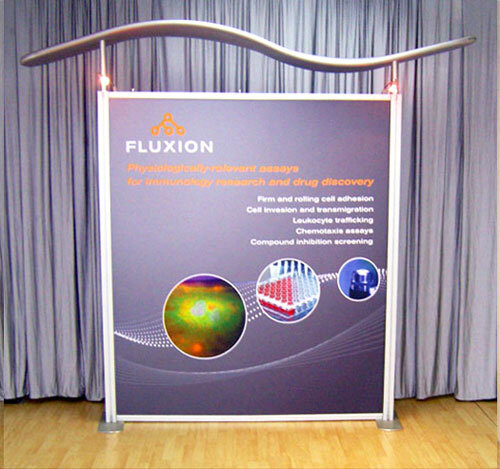 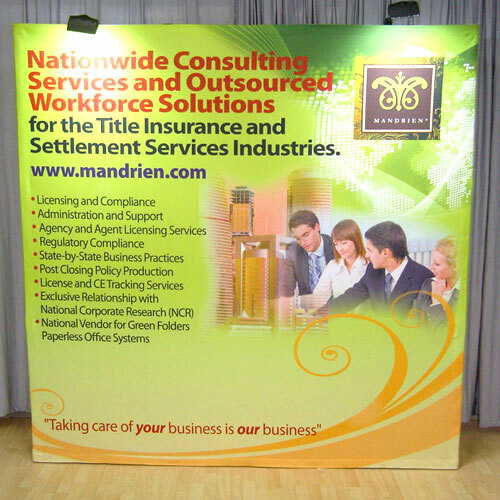 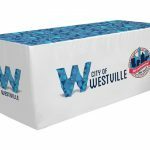 The best benefit you will get from our S-shaped waveline fabric displays is they are cost-effective. 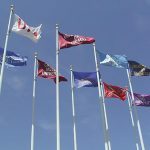 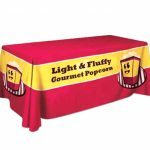 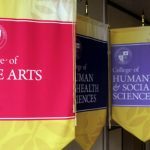 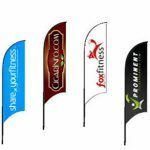 They don’t take a lot of space, so you can mix and match them with other fabric banners. 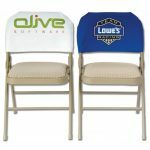 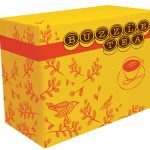 Each set is already inexpensively priced, and you’ll save more money when you buy more than one set. 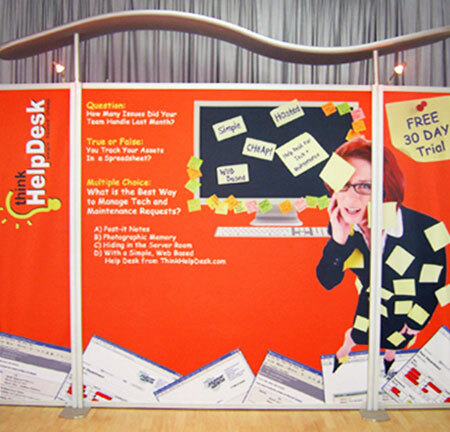 Most of all, you can reuse this display over and over again. 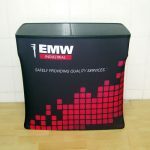 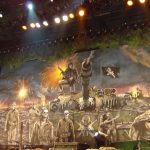 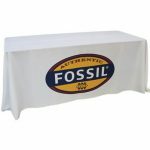 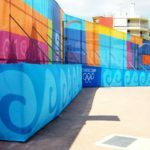 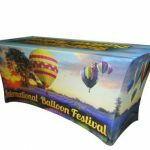 If you need new graphics for your display, you only have to order a new set of fabric graphics to replace the old ones. 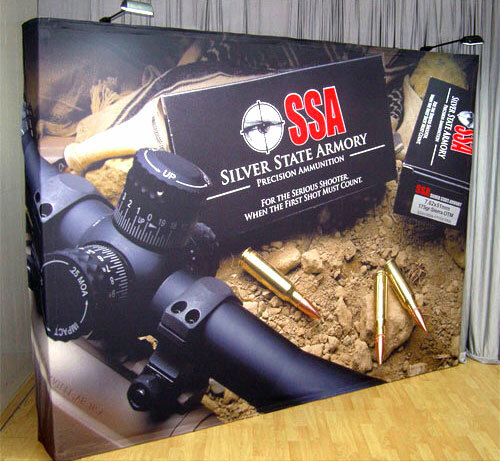 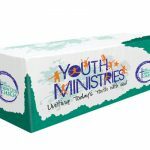 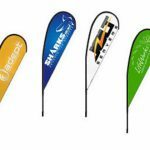 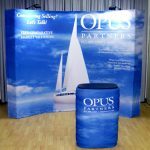 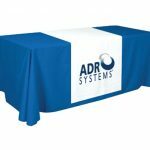 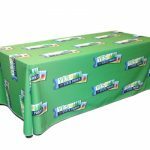 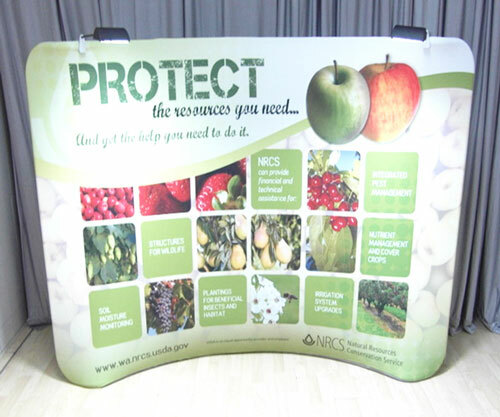 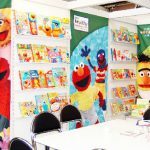 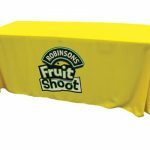 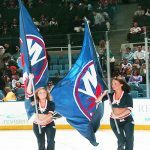 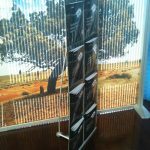 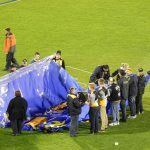 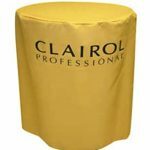 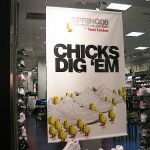 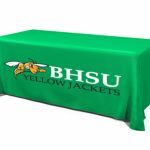 Our S-shaped tension fabric banner stands are the best choice you can find for your display needs at your event. 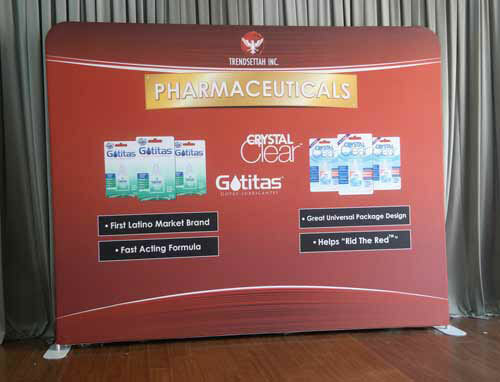 Call us right now to learn more about this product.